Dhaulagiri is one of the most popular 8000m Peaks for climbing in the Himalayas . The seventh highest mountain in the world, Dhaulagiri lies north - west of Pokhara culminating to its highest point at the eastern end. Dhaulagiri is almost unique in the world in terms of its rise above local terrain where it rises to 7000m over the Kali Gandaki gorge to the south east in about 30 km of aerial distance. In fact, Kali Gandaki is dramatic as two eight thousenders, Annapurna I & Dhaulagiri both stand near the river facing each other over a deep valley. 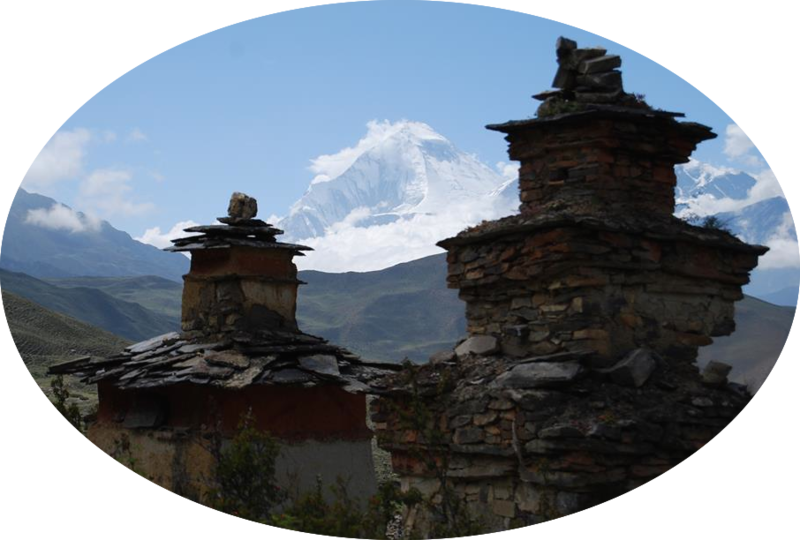 Dhaulagiri was first discovered in 1808, and it was thought to be the highest mountain in the world for westerners. It was assumed the highest peak for 30 years before its place was taken by Kanchenjunga . Dhaulagiri literally means 'white mountain' which justifies a magnificent peak rising as a giant shoulder of shining ice and snow.